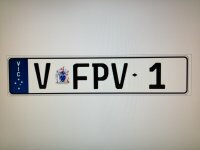 What is selling on the Premium Plates site? 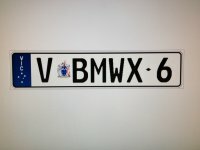 Selling on the Premium Plates site enables a person or business to sell their products such as registration plates, number plates, standard plates, custom plates, special interest plates, motor bike, heavy vehicle plates to even custom show display plates. What can I buy on the Premium Plates site? You can buy a variety of number plates on the site from any state in Australia. Why should I sell on the Premium Plates site? Premium Plates site is the cheapest way of selling Private or Business plates in Australia. You also have the option of advertising and selling immediately with an easy registration setup facility. Do you offer fraud protection? Any buyer or seller is covered by see Paypal Terms and Condition’s Policy. How do I open a new Account? 1. Your Personal or Business name. 4. Email address. So you can be contacted. 5. Fill out the Captcha shown. Then hit register. Then you will be asked to put in your username and password. You can then go about by submitting your Ad. 6. You will be sent an email clarifying that you are now registered with your new username and password. How do I add my Ad information? 1. Number Plate name that you are selling. 2. What state in Australia the number plate originates in. 4. Select a tag (Make or Type) that suites your plate. 5. A description (if required). 1. Choose file – Which must be a jpeg, jpg file. This will link you to your Windows explorer folder that the image will be chosen from. - Then select the listing fee plan that suits your needs. - Select to agree to the terms and conditions. - Select the Post Ad. Please read the cancellation and termination clause under the Terms and Conditions of the Site. How do I manage my Selling Account? On the main Home page of the premiumplates site, you can select the log in at anytime to make changes to your account. How do I know if I have a Sale? The Seller will be notified by email that a buyer is interested in there plate and will then give a payment option to the buyer. The Seller can then either send an invoice via Paypal to the buyer or given them the option to pay by cash on delivery. Copyright © 2019 Premium Plates. All Rights Reserved.